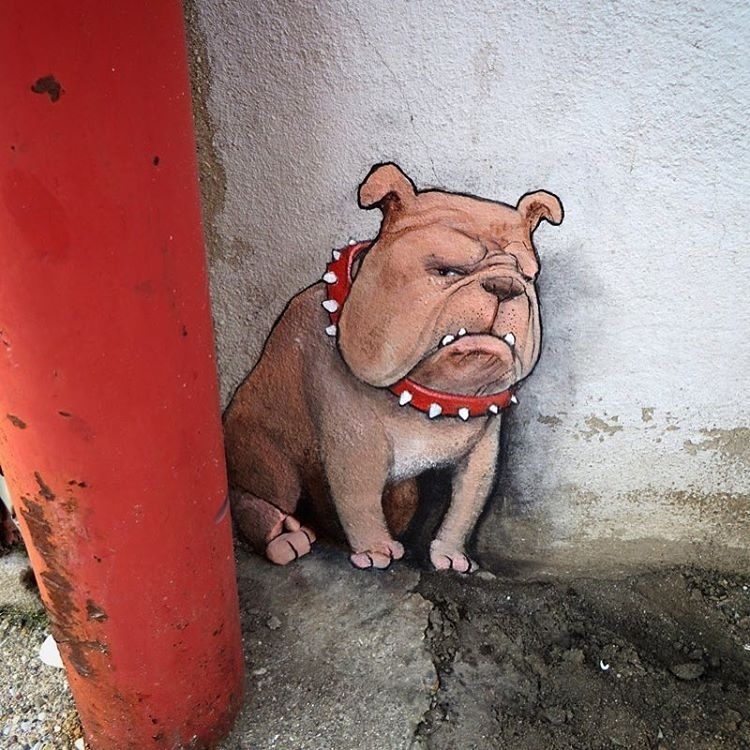 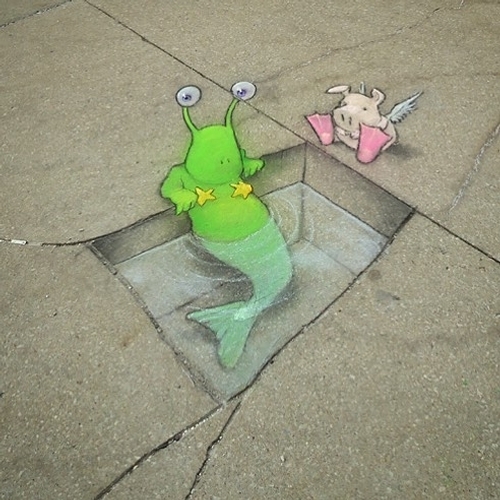 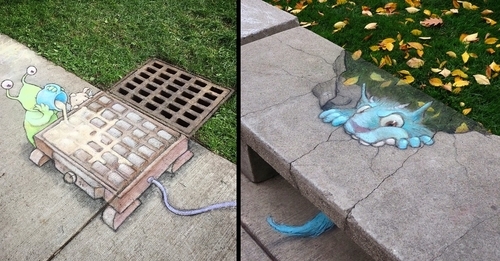 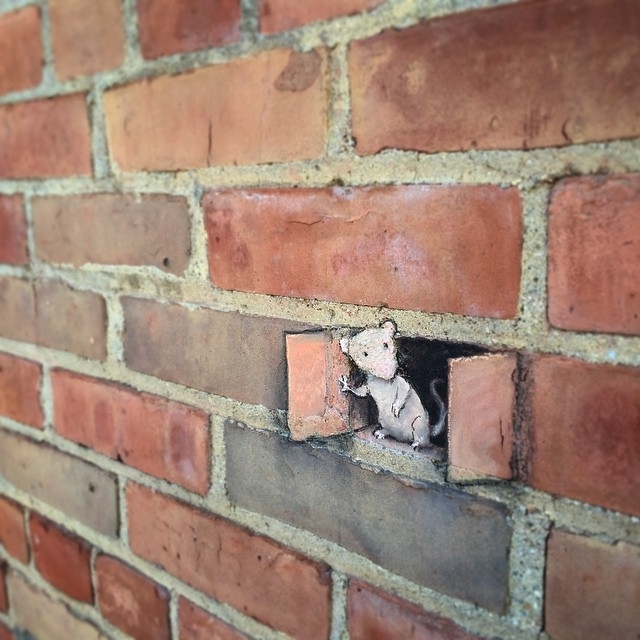 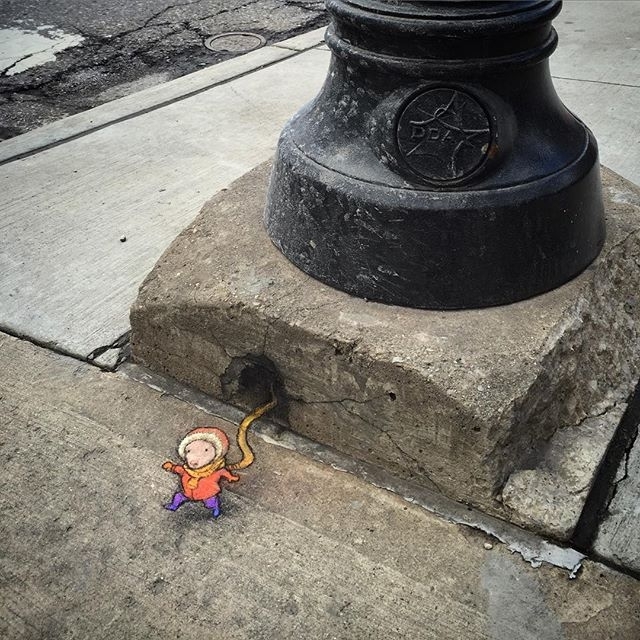 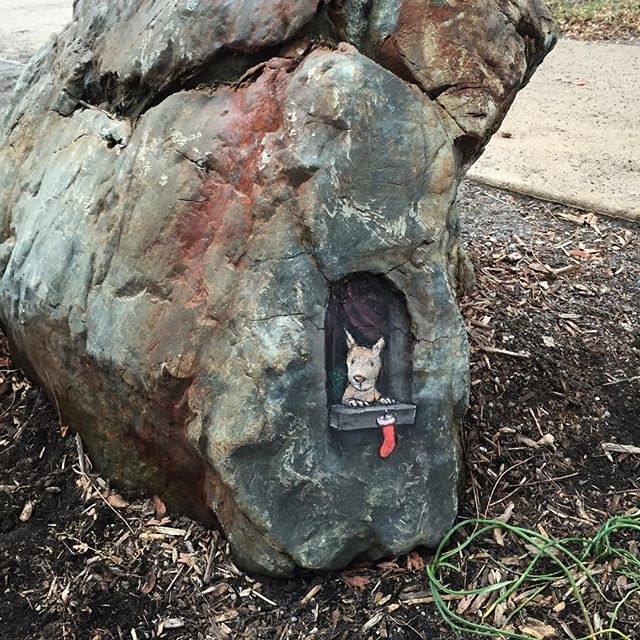 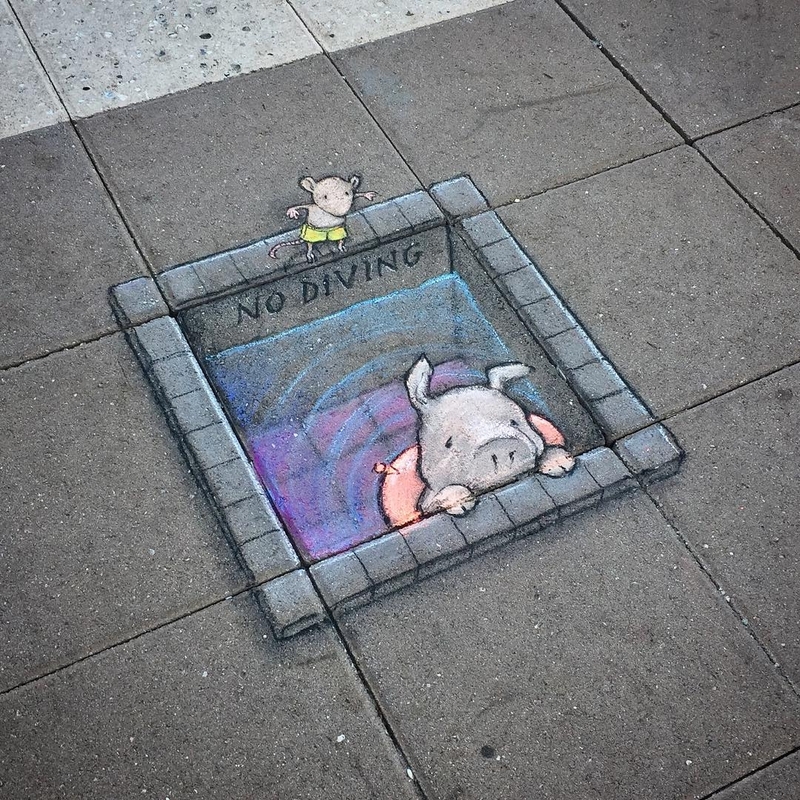 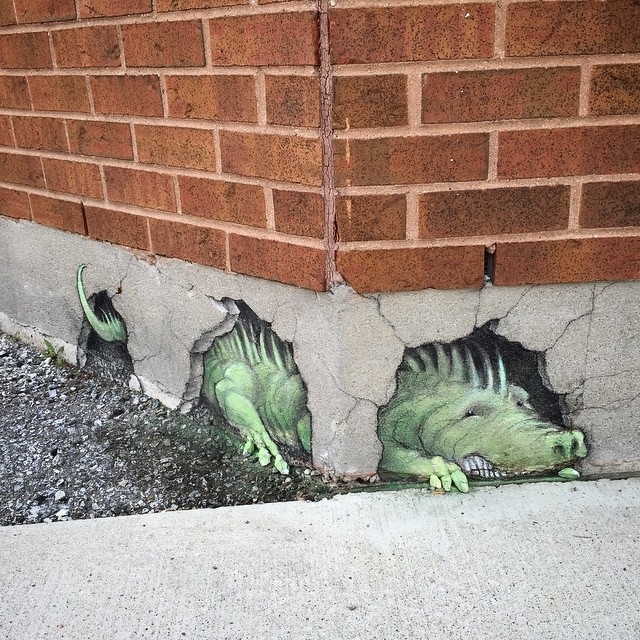 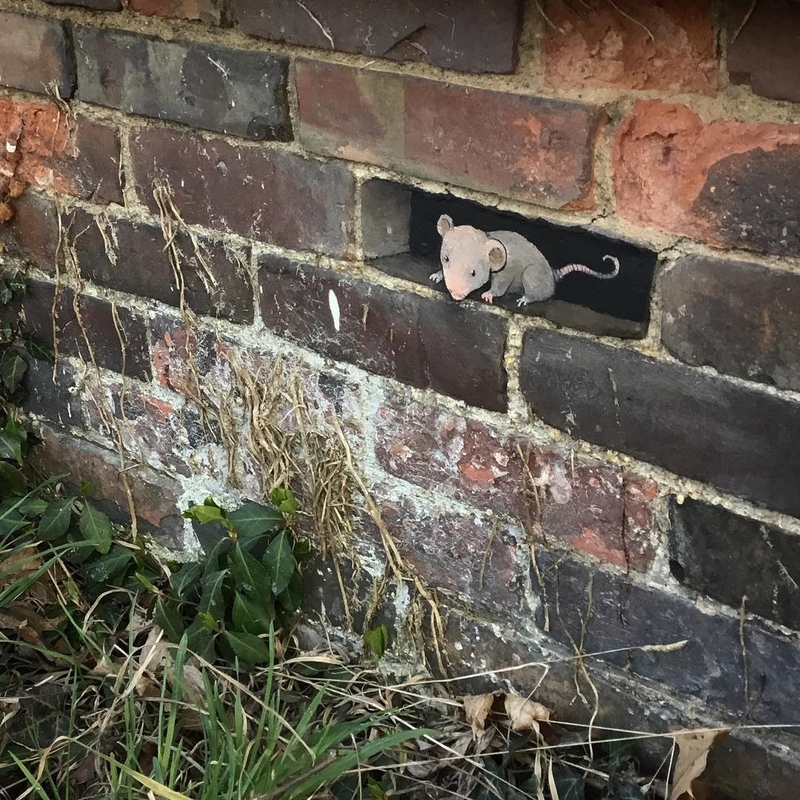 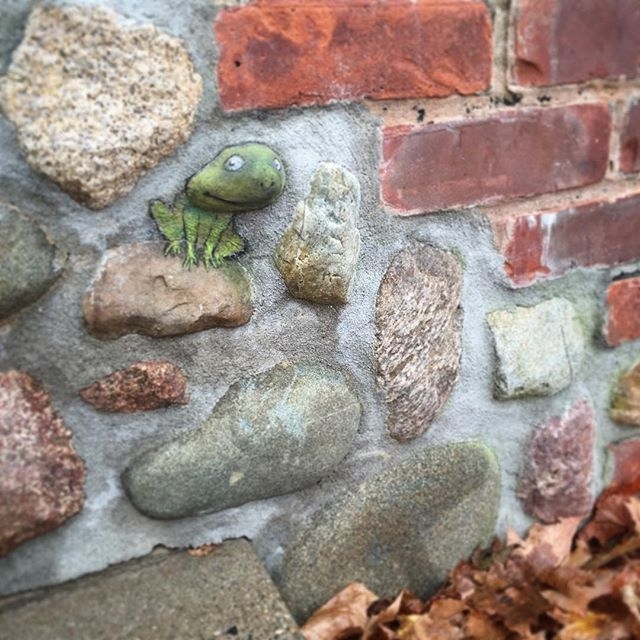 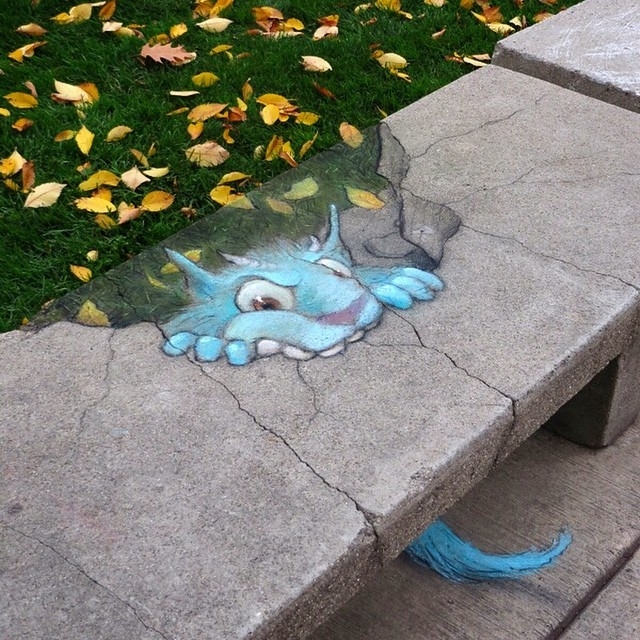 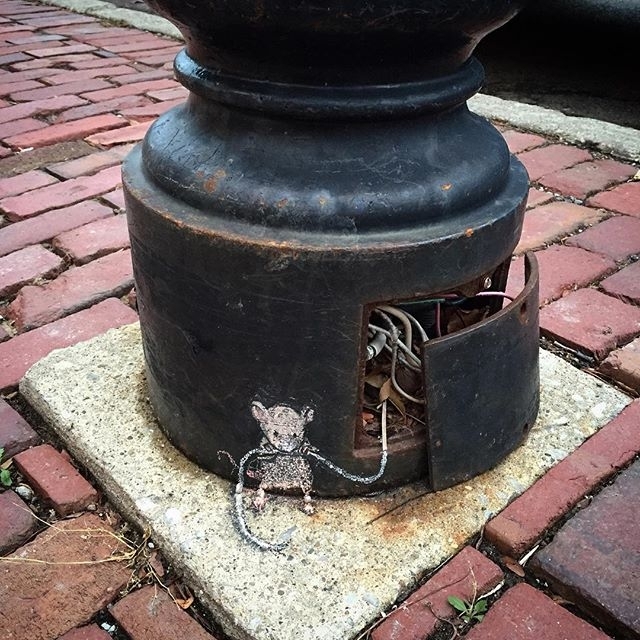 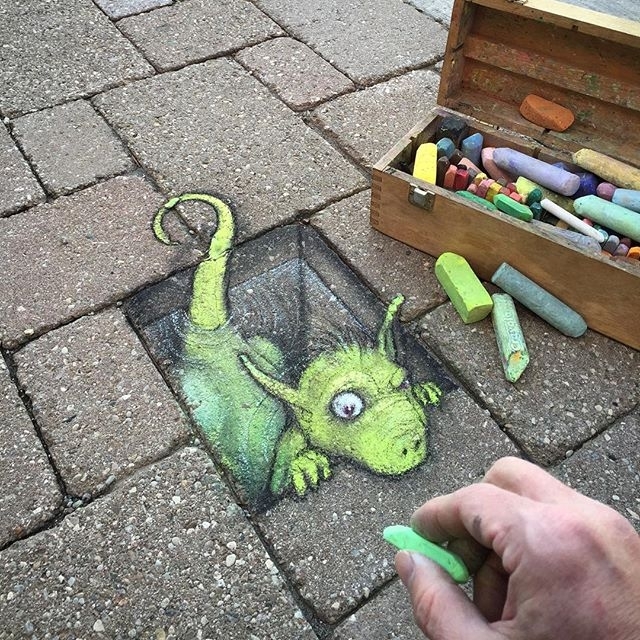 Self-taught Artist David Zinn, has been creating his original Street Art in and around Ann Arbor, since 1987. 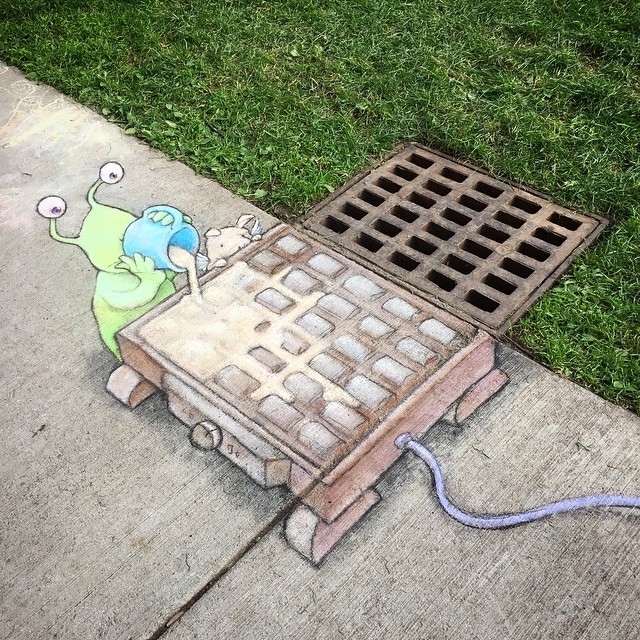 He does take professional commissions that pay the bills, but loves walking around town and once a spot captures his attention, he starts drawing. 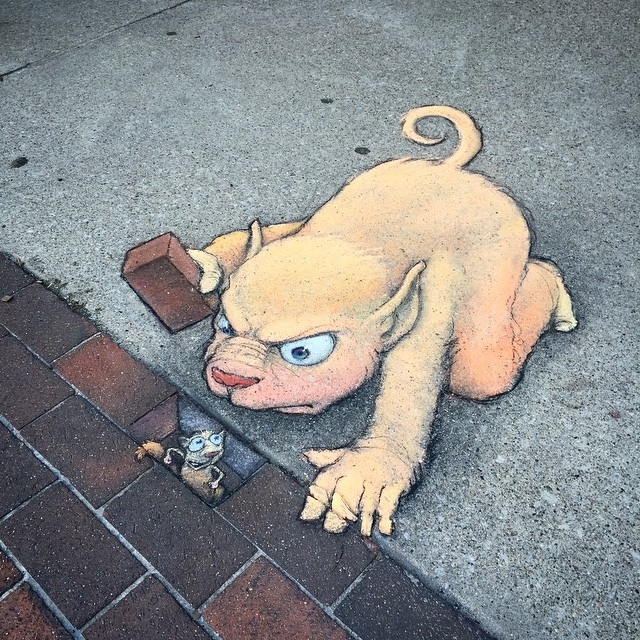 Zinn does not go out with a specific image in mind, he lets the sidewalks and the walls, drive the process. 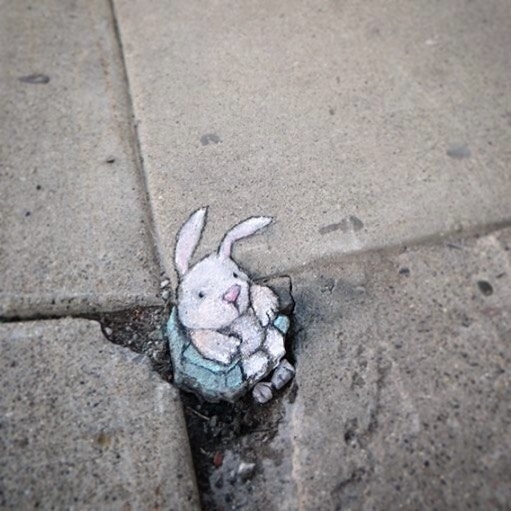 The video below, is an interview with Zinn in which, he shares, with us, a lot more of his technique and the source of his inspiration. 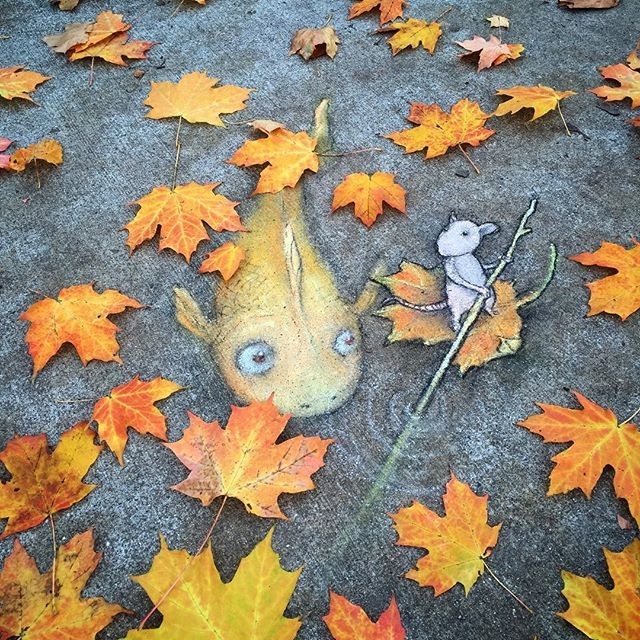 A Day out with my Fish Friend. 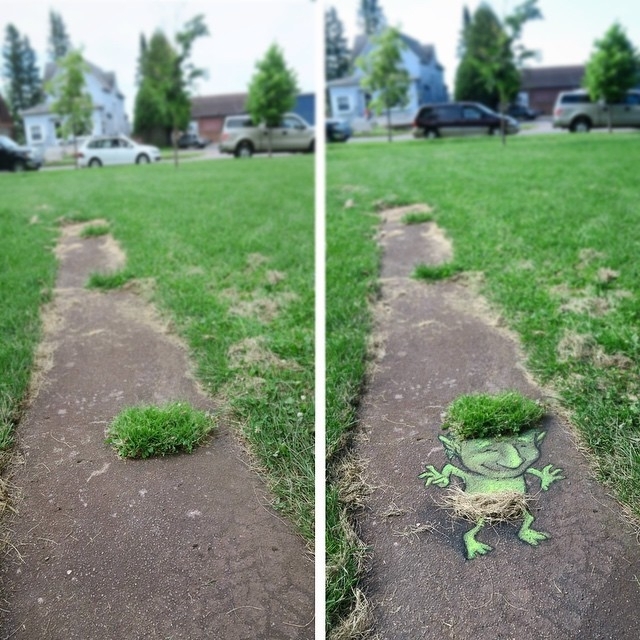 Lawn Troll - Before and After. 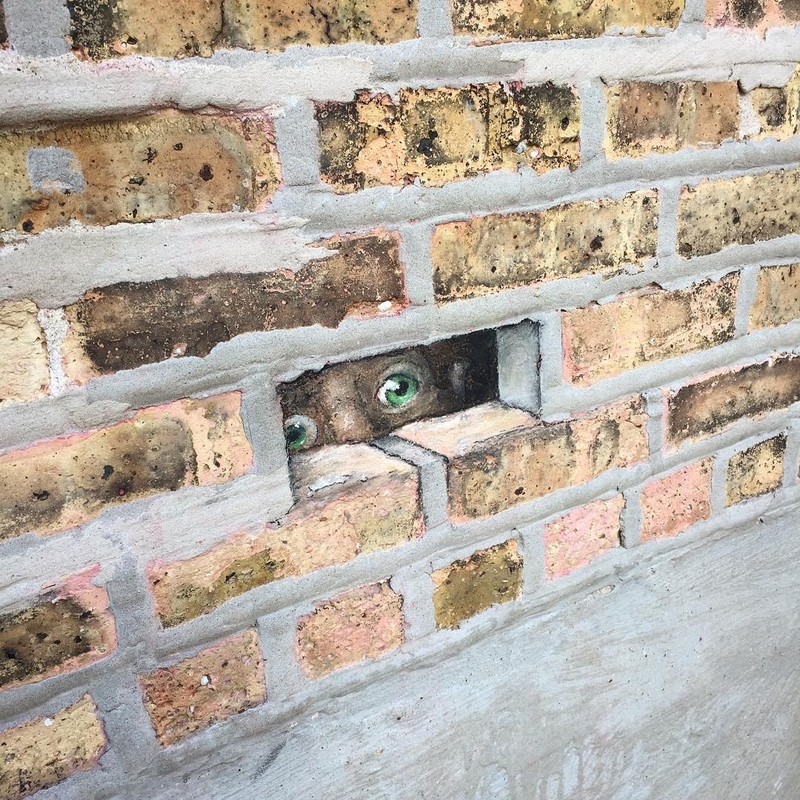 He is Behind the Wall! 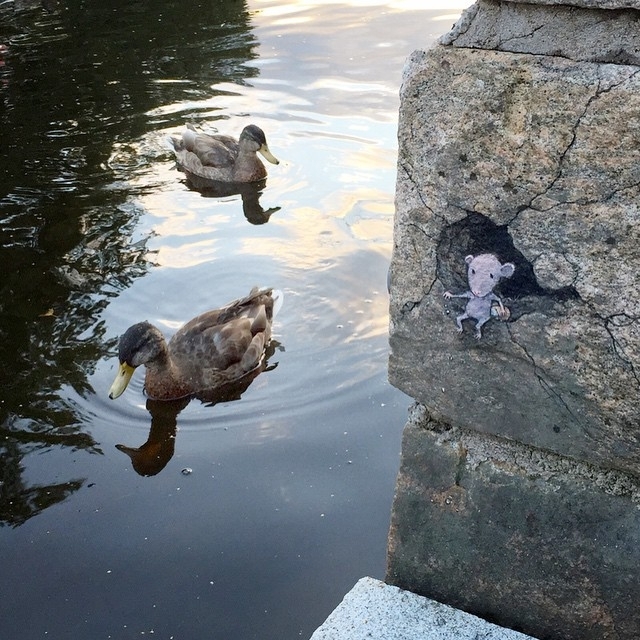 Grevé finally found some ducks to feed.